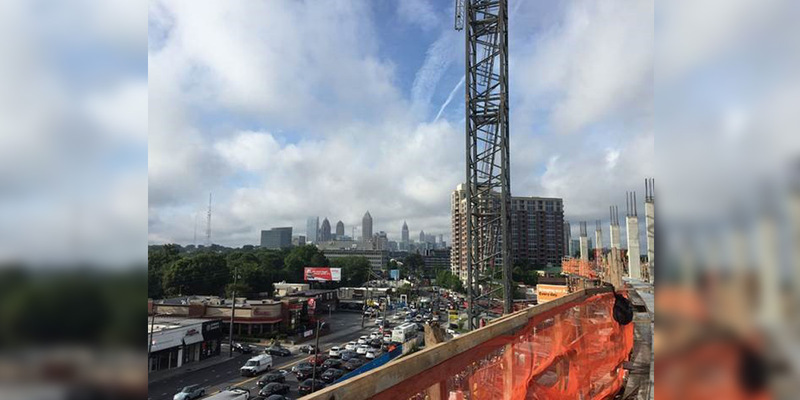 The low-rise section of the building along Collier Road was topped out on June 14, meaning that this portion is at its maximum height. The construction team began installing the skin along this section of the building this week. The construction crew also placed the chillers, boilers, and generators in the Central Energy Plant last week. This equipment will service almost 1 million square feet in the Piedmont Atlanta Tower. This week, the last mass concrete pour of the 12-feet-deep transfer beams was completed on Level 4 of the tower. Level 4 is approximately one foot below the sixth floor of our existing East Tower. The fourth floor will be the first patient floor in the tower and the views from the patient rooms are incredible.